The White Sox won't be calling Eloy Jimenez up in September and it's not a total surprise. But it's time to do something about the service time issue. 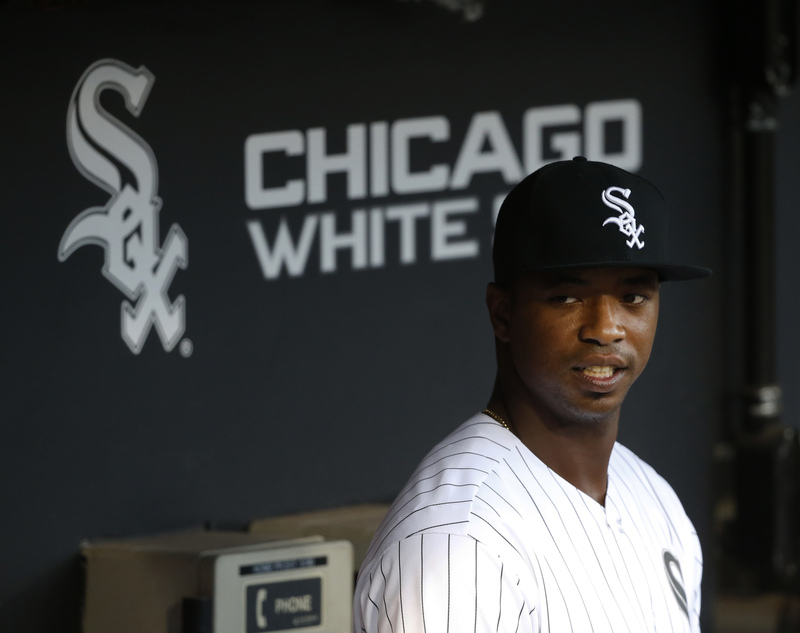 The White Sox made their decision on top prospect Eloy Jimenez on Friday. He won't be included among September callups. Given the decisions we've seen clubs throughout the league making with their MLB-ready prospects, it's no surprise. If all goes as planned with Jimenez and he were to hit the open market, it's unlikely that the White Sox could afford to keep him with their middling revenues. By waiting until the third week of next season, they ensure that they get essentially seven full seasons out of Jimenez before he has the chance to pursue big money. If you're playing general manager, it's the right decision. However, Jimenez isn't happy about it. His agent is already floating the idea that he'll join Kris Bryant and Maikel Franco in filing a grievance against the organization for manipulating his service time in hopes that he'll win the suit and earn arbitration early. That's also the correct decision, as there's not a great argument to be made for keeping him down other than the service time technicality. That creates this odd little situation where both the team and the player are making the most practical decision and there's no overlap whatsoever, thus the source of the drama. But rather than trying to come down on one side of the issue or the other, maybe it's time to address what's at the heart of it. There's collective bargaining language that has created a loophole that needs to be closed. It's understandable that lifelong fans who care more about the team they root for than the prospect would be backing Rick Hahn's decision here. It protects the best interest of the team and gives them the best theoretical chance of opening a title window. Making the case that it's *right* is another thing entirely. Prior to this iteration of the CBA, earning a promotion was about merit. Jimenez has absolutely torched every level of competition he's faced since joining the White Sox as part of the Jose Quintana trade and his plate approach has only gotten more refined for the last two months in Triple-A Charlotte. He's slashing .365/.407/.615 in 216 plate appearances since being promoted from Birmingham. His strikeout rate has fallen all the way to 12.5 percent from around 20 earlier in his career. Between the prodigous power and the exceptional barrel control, there's not much room to argue that he doesn't belong at the Major League level -- where he'd be the most feared hitter in the lineup instantaneously thanks to Jose Abreu's injury. Talk about his defense and the fact that the bulk he's added has slowed him down all you want, but the positive influence of that sort of power profile outweighs it all and everybody knows it. In any other era of baseball, the chance to get Jimenez up to the big leagues to start getting acclimated would be viewed as a benefit. With the White Sox hoping that 2019 is the gateway into their window for success, 100 at-bats in September should be extremely valuable. So why are we letting service time usurp conventional wisdom? The rule was written to protect small-market teams and that's understandable. But it's time to close this particular loophole and it's not even that hard to accomplish. In instances like this where players elect to file a grievance about service time, you establish an independent panel who can look at all the facts and make an expedited decision. It should go something like this: "Oh, so you've got a potential superstar with a 1.022 OPS in Triple-A and are playing Ryan LaMarre and Adam Engel in your outfield regularly? There are no other clear and apparent obstacles (40-man roster status, option issues, etc.) keeping you from promoting him besides service time? Okay. We file in favor of the player." Sure, it might have to be a little more nuanced than that, but anything that protects the idea that the best players will play when they're ready should do. Because Jimenez is the best player and he's ready to play at the highest level. Anybody who tells you otherwise is only doing so in the interest of service time and that's not right.